How Parubiy was turned into a fan of Hitler: a chronicle of Russian stuffing - Детектор медіа. 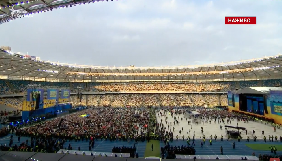 Disseminated by Medvedchuk, Portnov and a number of Ukrainian media, primarily by the site “Strana.ua”, TV channels “112-Ukraine” and NewsOne. По-русски эту статью можно прочитать здесь. 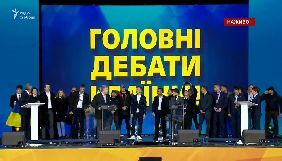 None of the statements claimed by Parubiy shocked the experts in the studio: by ironic intonation, calling Hitler by name and father’s name, by context it was clear what Parubiy meant: Hitler was a dictator and to become a dictator he used the mechanisms of direct democracy to concentrate power in his hands. It is known how it ended, and Parubiy hints at the dangerous possibility of using the mechanisms of direct democracy to establish dictatorship. Political analyst Volodymyr Fesenko confirmed Parubiy’s words specifying that since then the Federal Republic of Germany had completely abandoned the holding of referendums. And the US practically does not use such practice except for certain states. 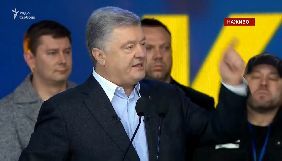 His speech did not trigger a reaction of the Ukrainian media neither in the evening of September 3 nor in the first half of September 4. On September 4, at 3:18 pm, the Russian resource “RIA Novosti” published a note with the title «Speaker of the Rada called Hitler the greatest democrat». It contained an incomplete quote of Parubiy’s speech: “I myself am a very big supporter of direct democracy. <…> By the way, let me tell you that the person who most practiced direct democracy was Adolf Aloisovich in the 30s”. The note also said that Parubiy “called not to forget the Fuhrer’s contribution into its (democracy) development”. Let us repeat: Parubiy DID NOT call Hitler “the greatest democrat” and DID NOT call to assess Hitler’s contribution to the development of democracy. He reminded viewers that Hitler had actively used it for his purposes and that should be remembered. The note of RIA Novosti also mentioned two scandals: story of the former Lviv teacher and local deputy Maryana Batiuk who quoted Hitler in social networks on his birthday and anti-Semitic statements of the former Ukraine’s consul in Hamburg Vasyl Marushynets. Not immediately, after a pause of almost 4 hours, at 6:59 pm on September 4, the material of RIA Novosti with minor corrections was published by the resource “Strana.ua” with the title “Parubiy called Hitler ”the greatest democrat””. 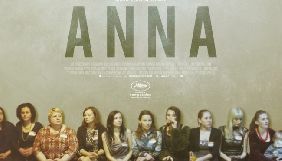 The material of “Strana.ua” quoted the same truncated phrase as in the material of “RIA News”, and the same phrase about “the contribution of Hitler to the development of democracy” and the same context – scandals with Batiuk and Marushynets. September 4, 5:22 pm, “Hlavred”: “"The greatest democrat". Speaker of the Rada Parubiy "distinguished himself" with the joke on TV air: video published». Now, the news is deleted and the material is available only in the Google cache. 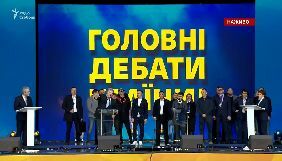 September 4, 8:34, HolosUA: «Parubiy called Hitler the “greatest democrat” (VIDEO) - media (VIDEO)» At this, the material does not contain video. September 4, 9:28 pm, Korrespondent: «Parubiy remembered Hitler’s direct democracy». This resource’s material contained the additional phrase “At the same time, an expert in the studio reminded that neither Germany nor the US refused to conduct referendums” – although Fesenko told directly the opposite. September 4, 11:29, Znay.ua: “Parubiy suddenly praised Adolf Hitler, the scandal is gaining momentum, the Ukrainians are furious.”. This very resource but already on September 5, at 9:08 am published this very publication, but with the title “Parubiy shared his damp dreams of Hitler: video”. On September 4 and 5, there were news with the same title that Parubiy called Hitler “the greatest democrat” on the Russian and separatist resources – “Zvezda”, once again RIA Novosti, “Ukraine.ru”, TASS, “NTV”, Life!, “RBC”, “DPR News”, “Gazeta.ru”, RIA FAN – the last three, in contrast to the listed Ukrainian resources and the original publication on the website of RIA Novosti, quoted Parubiy more accurately - including his phrase about the referendum as a means of manipulation. 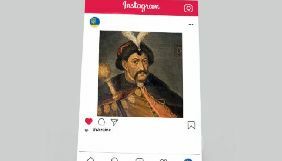 On September 5, “Ukrainian News” added a broader context and a fuller quotation to its publication “The greatest man who practiced direct democracy was Adolf Aloisovich, - Parubiy”. The only resource among those who published materials on the topic “Parubiy spoke about Hitler” and fully published the quotation from the program “Svoboda Slova” and described the historical background the Speaker told about was the website zaxid.net. On September 5, at 11:38 am, the official page of Viktor Medvedchuk in Facebook published the post saying: “In any democratic country, the Speaker must resign or the Parliament must dismiss him after such statement”. 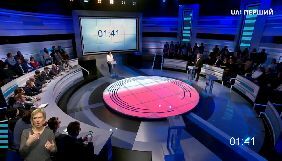 This very day, on “112 Ukraine” channel, there appeared a running line “Parubiy called Hitler the greatest man practicing democracy” and the hosts asked the guests to comment on this very phrase. The guests condemned the phrase and certainly mentioned the necessity of the resignation of the Speaker. 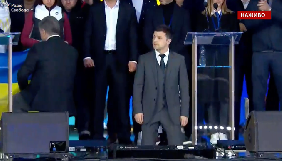 So, Yevhen Chervonenko demanded the resignation of Parubiy. 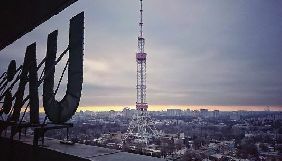 Vadim Rabinovich as well – moreover Rabinovich commented to the channel that Parubiy “demanded to recognize Hitler as a hero” (the journalist did not object). Later he stated that he would sue the Speaker of the Parliament (there were three news about this on the channel). The The former Minister of Justice Lavrinovich also spoke with the hosts about the Speaker’s “unethical” statements – in the credits, the conversation topic was called: “May a person calling Hitler a great democrat preside over the Parliament”. 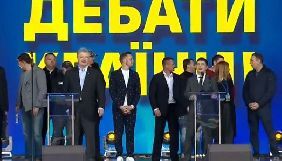 Andriy Lesyk, a member of the party “Ukrainian Choice”, represented on air as “a deputy of 6th and 7th convocation of Kharkiv City Council” also spoke on this. The host Denys Zharkykh discussed “neo-Nazism in the Ukrainian politics” in the program with Iryna Taran, and both of them made a conclusion that “a man should be responsible for his words”. 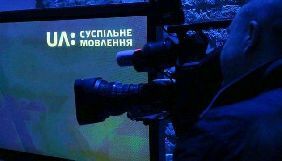 Naturally, that the news feed of the channel quoted the opinion of Medvedchuk – and he, in turn, also demanded the resignation of Parubiy pointing out that “the standard of direct democracy is Switzerland”. Although this is what the Speaker of the Parliament said on the air of “Svoboda Slova”. On September 5, at 11:14 am, Andriy Portnov, manager of NewsOne channel, posted on Facebook as well. He stated that then the most important was to strengthen the association between Hitler, Parubiy, a political force he represents, parliamentary coalitionand Revolution of Dignity. “We should not condemn him for the adherence to these ideas. Our task is not to criticize him but advertise, show, quote and compare with his Nazi prototype more often. 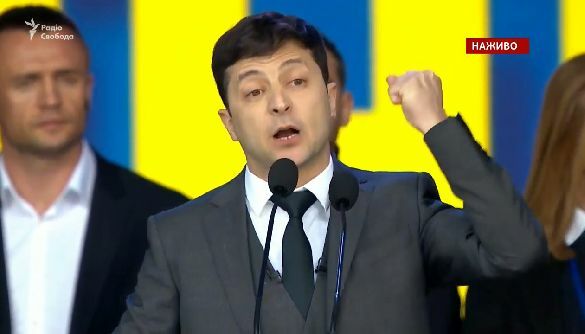 And we must mention his statement about Hitler not only in his context but in the context of his political force, parliamentary coalition, Maidan parties and revolution of dignity. There is one associative series and we have to assign it to him as much as possible”, – the post said. 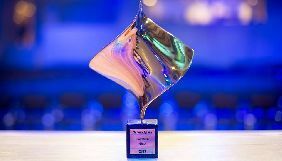 In full accordance with the wishes of “a lawyer and human rights defender”, NewsOne channel appeared to be the most active in promoting the news about Parubiy: they talked about this for almost two days on the channel’s air – especially the host of the evening prime Diana Panchenko was anxious about this topic. She and other hosts talked about this once again with Chervonenko and Rabinovich, as well as with Viktor Baloga, Maks Buzhanskiy, some political analyst Lazariev, Nestor Shufrych, Mykhailo Dobkin (in the program with Vasyl Holovanov), deputy Yuriy Derevianko, Ruslan Kotsaba in her program, quoting Medvedchuk. Everyone called for the resignation of Parubiy and accused him of the propaganda of fascism. Portnov’s initiative was also supported by “Strana.ua” – in the publication “From social-nationalists to democrat Hitler. In social networks, they discuss the scandalous statement of the Speaker Parubiy” where they directly stated that “Andriy Parubiy who praised Hitler yesterday, had used to work in the party with a notable Nazi implication”. Only certain users of social networks commented on Parubiy’s statement in the material: again Portnov, Olena Lukash, Maks Buzhanskiy, observer of “Ukraine.ru” Andriy Manchuk, Denys Horokhovskiy and Oleksiy Kurakin whom news-front likes to refer to. September 6. Two days after the beginning of the information campaign “Parubiy adores Hitler” a number of periodicals, but not all of the above, published the words of Parubiy where he denied the statements attributed to him. Parubiy told about this in his speech in the Rada – that is, nobody addressed to him personally for two days (the publications did not say about the journalists addressing him or about the Speaker’s refusal to comment). Materials in which the Speaker stressed what he really had said and not what was attributed to him were published on “Strana.ua”, “KP in Ukraine”, “112”, “Ukrainian News” – the latter titled the news “Parubiy sheltered himself behind Putin explaining his words about Hitler”. 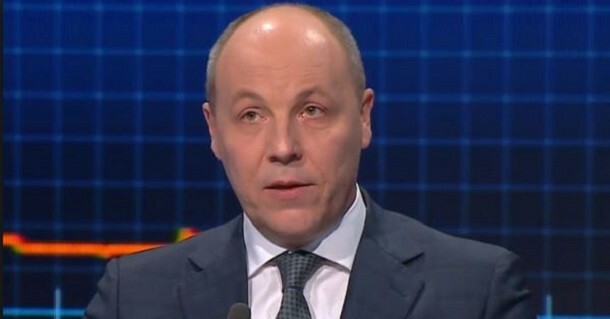 Strana.ua gave the words of Parubiy under the title “Parubiy reacted to the criticism towards him after the scandalous statement about democrat Hitler”, “KP in Ukraine” – “Parubiy explained his words about "democrat Hitler"”, 112 channel – “Parubiy commented the accusations against him regarding the mentioning of Hitler”. It is noteworthy that all the resources having published Parubiy’s explanation (except for “Ukrainian News”) provided his full original quotation in the materials: “"The person who most practiced direct democracy was Adolf Aloisovich in the 30s. And we should also remember this because in those 30s that was one of the key ways of including manipulation", - Parubiy said then”. “KP in Ukraine” also added the phrase that the Speaker “spoke ironically” about Hitler. Surprisingly, the mentioned Ukrainian media had heard neither irony in Parubiy’s words nor his words about manipulations in the Nazi Germany for two previous days since the article appeared on RIA Novosti. 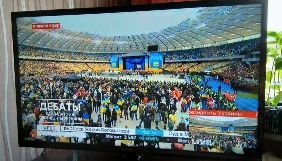 Санкції проти «112 Україна» і NewsOne: боротьба з «агентами Кремля» чи небезпечний прецедент?